Stoorstalka ‘Sunna’ heddle. For Sami weaving. This is a wide one! On Schacht inkle loom from Loch Ness Spindle Co. The warp is still being set up, here. Smaller slots are for pattern (red) threads. 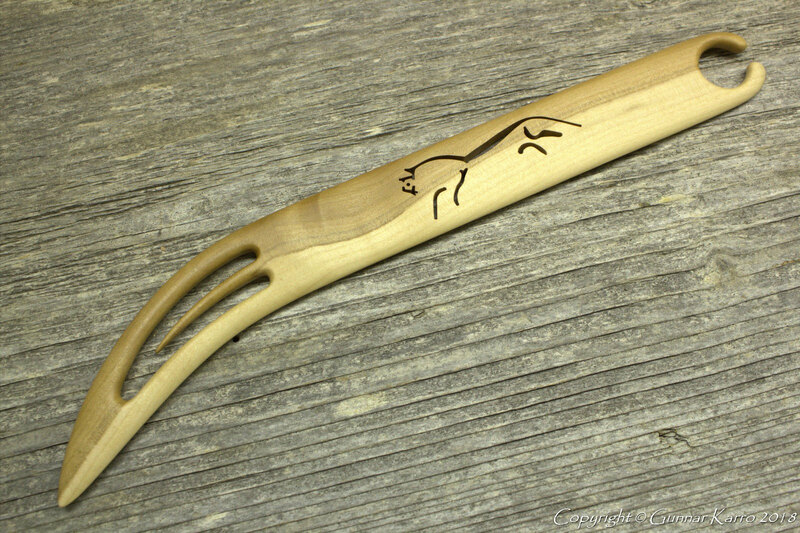 I’m currently learning inkle pick-up techniques, and have been switching between Susan J. Foulkes’ helpful info, and Laverne’s. Susan’s books are mainly on Sami weaving which has a slightly different structure to Laverne’s South American pick-up techniques. 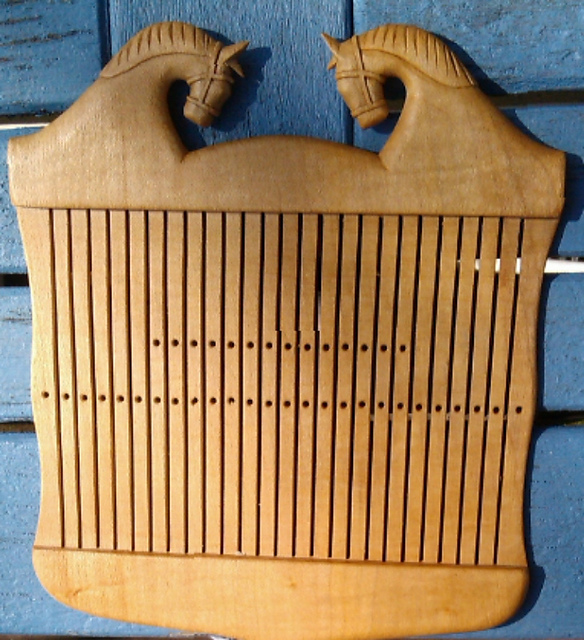 So I use different heddles – the beautiful horses one, below, is quite versatile, but I enjoy using the Sunna heddle(above) for Sami weaving. 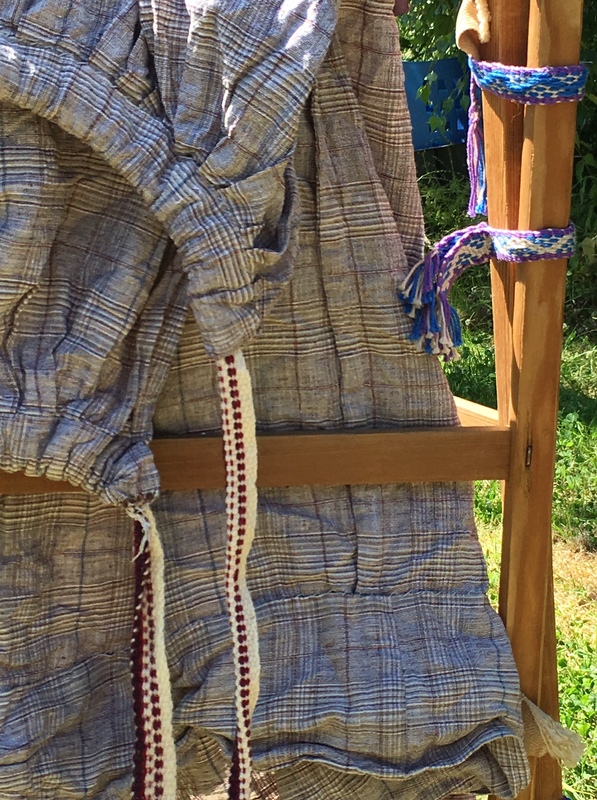 I’ve been using the bands for all kinds of things; from a waistband tie for an 1800s’ linen petticoat, to straps for my bike bag, to impromptu hinges for the clothes horses. 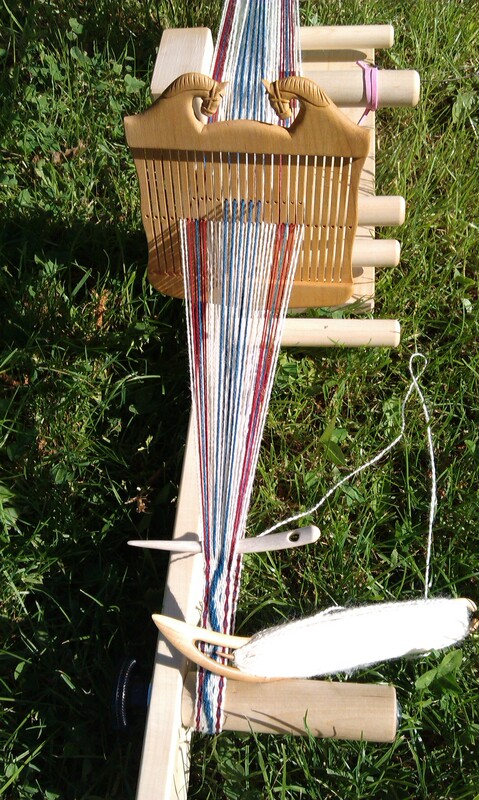 And just been enjoying the weaving. I always think it is aimless, fun weaving and then part way through, think of a pressing need for that particular band. 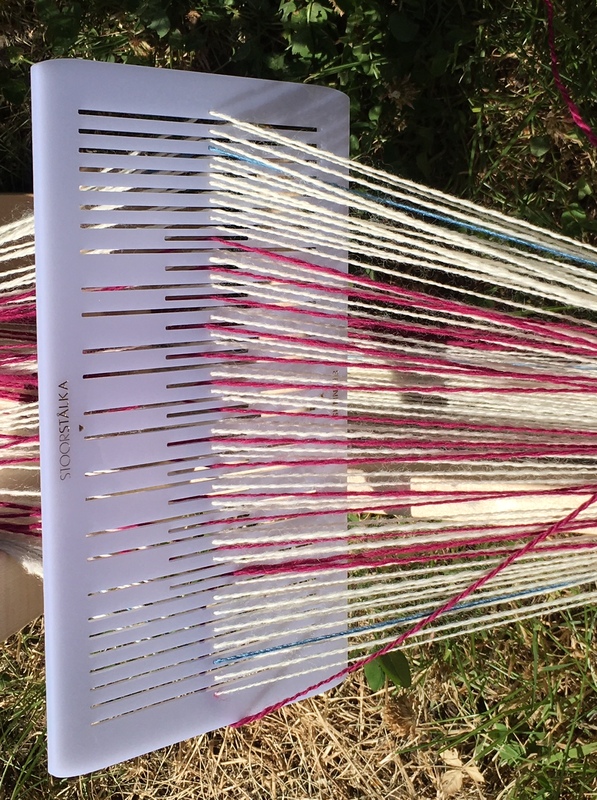 Which is wonderful as it shows what a pragmatic thing this weaving is. You don’t need much equipment taking up loads of space. Between the Schacht and the Seidel looms I can do a great range of bands, and they seem to be permanently warped, with one thing or another, so are good value for money. Have also booked onto this workshop on Japanese Sanada-Himo band, at the Oriental Museum in Durham, with Susan J. Foulkes, later in the year. Yet another rabbit-hole I’ve fallen down (an old one I’ve fallen down before) but aren’t those the best rabbit-holes? 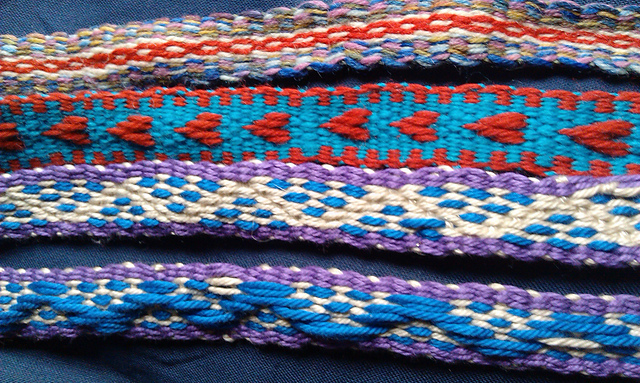 band weaving is a window into various cultures; both universal, and a product of specific worlds. I am enjoying broadening my horizons a bit as so much of my work has been focused on the UK, it is good to get an insight into the wider world’s textile arts, too. 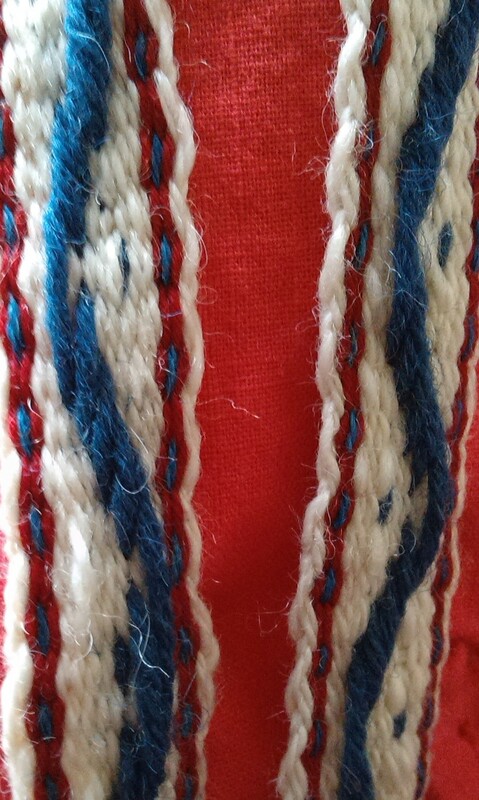 As Billy Bragg said: “What do they know of England, that only England knows?” When I get back to researching in reserve collections and looking at textiles; woven bands and ribands, will be a new thing I will keep an eye out for. 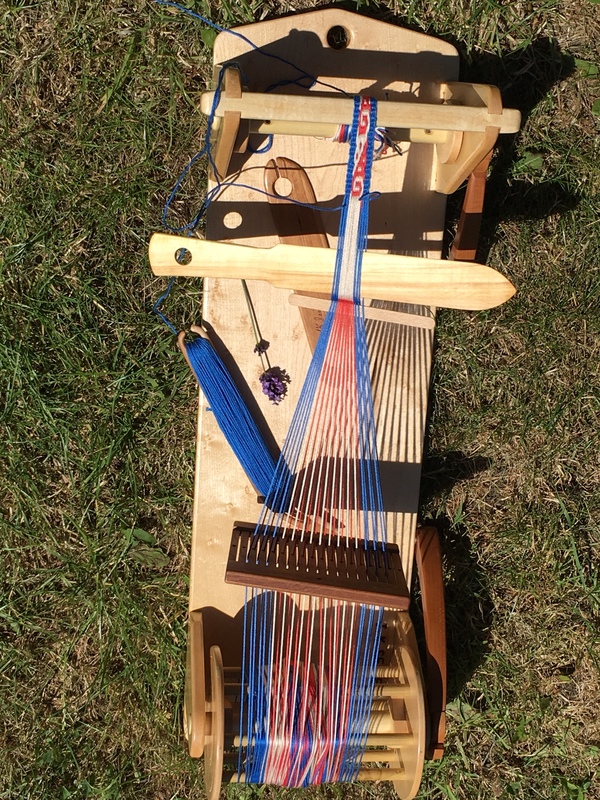 I started out inkle weaving because I couldn’t afford a ‘proper’ loom and ended up inkle weaving because I wanted to downsize and just get back to the basics of my craft (selling a wheel and a rigid heddle loom to finance this particular rabbit-hole). Like a continuous warp – it’s gone full circle. Card loom by Jonathan Seidel. One of a handful in the UK. 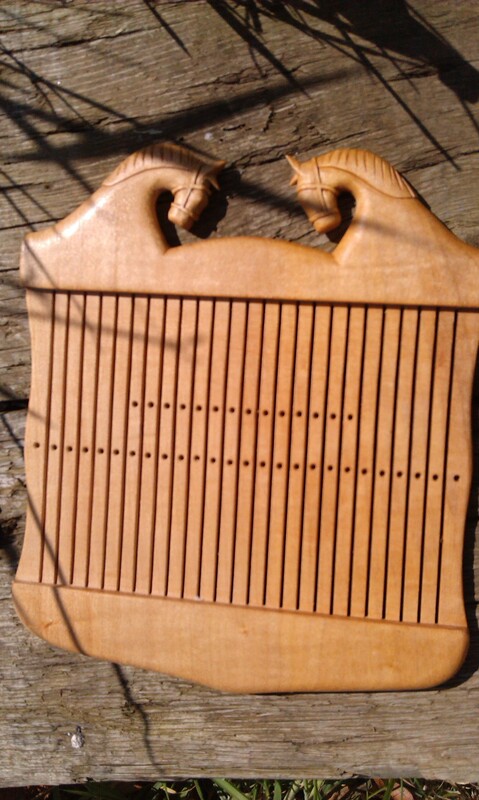 Using an old heddle I bought many years ago at a re-enactors’ fair. This is my first attempt at a pattern draft from Laverne Waddington’s ‘Complementary Warp Pick Up’ book.